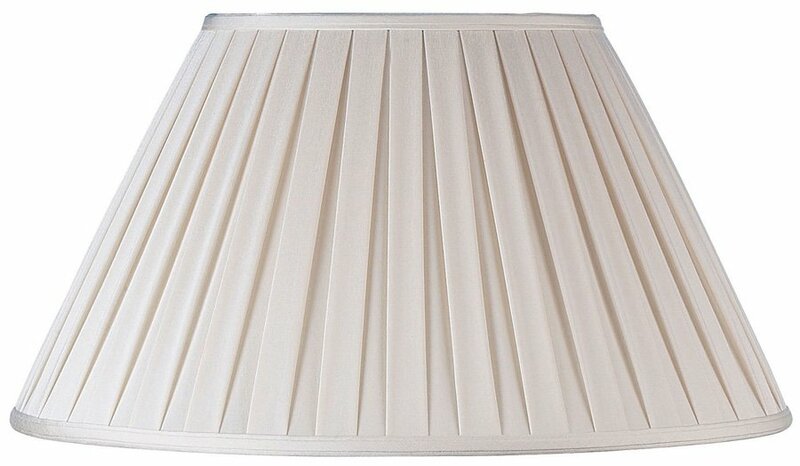 A classic box pleated 14-inch cream fabric table lamp shade, finished with a plain folded matching trim and balloon lined. From the Carla hand made cream box pleated lamp shade range. The ideal size for a medium table lamp.